Are you looking forward to the office holiday party, or are you a little anxious? Maybe it's a little bit of both. Plan ahead and prepare a few games and activities to help move things from "work mode" to "party mode." It will definitely make your party and event everyone looks forward to. 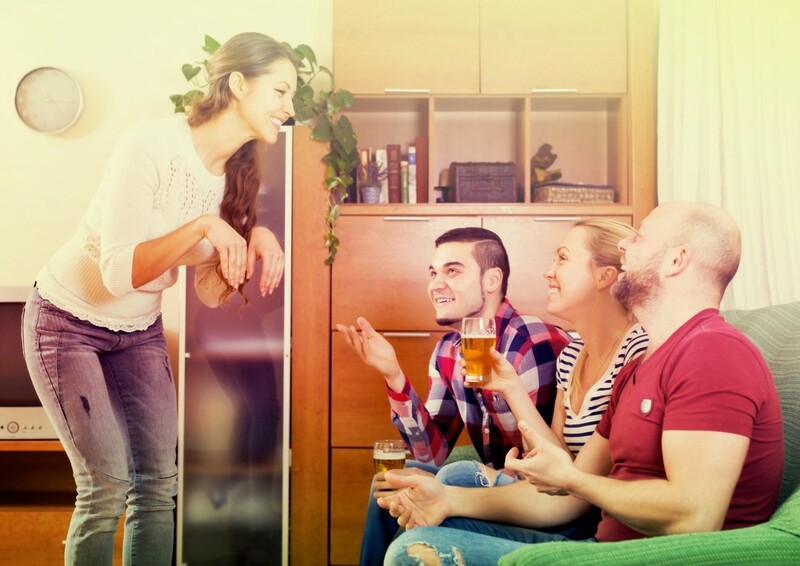 So if you want to avoid awkward silences and assure your party isn't a bore, use the following entertaining office party games to help break the ice. 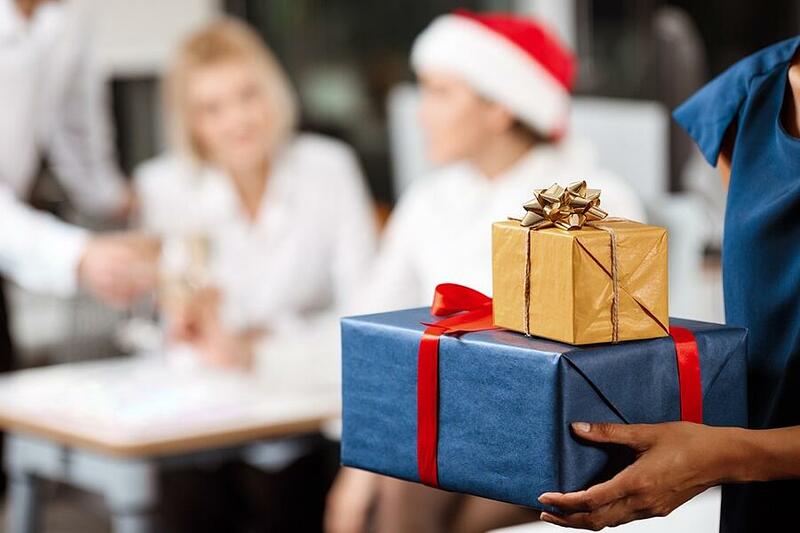 Probably one of the most played holiday office party games, you never know what can happen at a White Elephant gift exchange. All participating bring a wrapped gift to the office party and then draw a number to establish a certain order to the madness, wink wink. Whoever draws number one is the first one to pick and open a gift from the pile of gifts. Number two may take the opened gift, or choose an unopened gift from under the tree (or pile of gifts). Number one may have another go in the pile if Number two decides to take their gift. Clarifying rules such as not immediately stealing a gift back (this could go on forever) are found on a website completely dedicated to, believe it or not, the White Elephant Rules. Who doesn’t love treats during the holidays? Ask party goers to bring three dozen cookies to the party. A dozen can be spread out for everyone to taste, and the rest saved for later. Give everyone a container they can take home and sample any and all the varieties that were brought to the party. A twist to this game is to have your guest bake the cookies themselves and keep their identities secret. 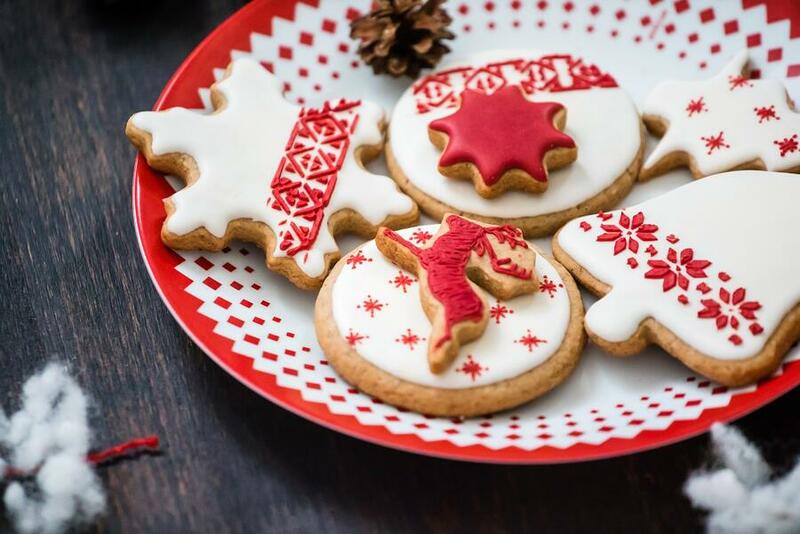 Guests can try to guess who baked which cookies, and talk among each other to drop hints and aid the guessing game. Take a vote on who brought (or baked) the best cookies, and give the winner a small gift. Great gift ideas include a gallon of milk, or mug with hot chocolate mix. 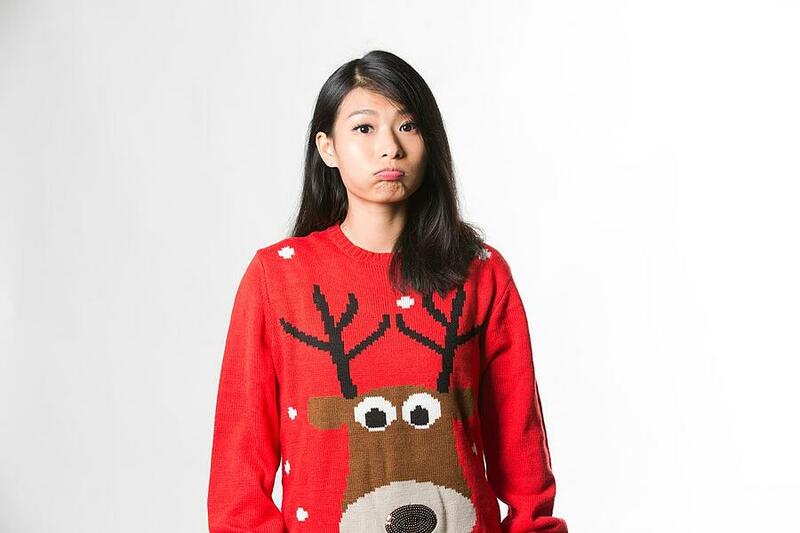 Extremely popular, ugly sweater contests are a lot of fun, and take the pressure off what to wear to the party! Announce a few weeks in advance that there will be a prize for whoever wears the ugliest Christmas sweater to the office party. Have contestants walk a short catwalk to fun holiday music and have everyone write down their vote on a small piece of paper at the end. Collect them in a mug or Santa hat so that all votes remain anonymous. Tally up the votes and reveal the employee with the ugliest sweater! This is a great photo opportunity as well. A trophy that gets passed down year after year to the next winner is a fun prize idea. It will also inspire a sense of friendly-competition among your team. For this game, you'll need a Santa hat for all participating. Everyone wears their hat, and one person is named the “leader” of the game. It is a good idea to pick someone who is outgoing. If they take off their hat, then everyone follows. The last person to remove their hat loses. You can play this throughout the party, and have fun deciding what the loser will have to do each time - maybe they have to sing a Christmas song for everyone . . . This is another game that can be played throughout the party. As everyone arrives, give them a small sheet of Christmas stickers. 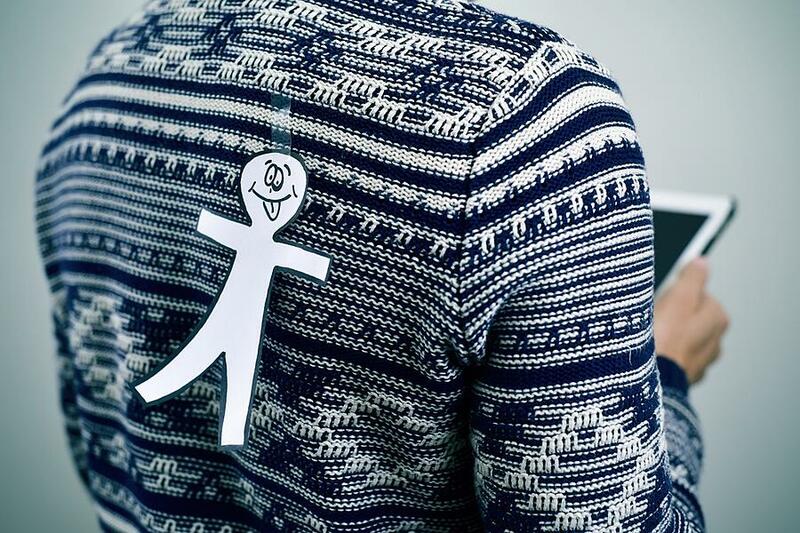 Tell them that the objective is to place their stickers on others without being noticed. The first person to get rid of all their stickers wins! Give your guests a bingo card with squares that contain facts about other guests. Everyone walks around the room and finds a person who will sign their name to that particular phrase. This game will help them get to know each other better and find out things they never knew about their boss! Get a fun gift anyone would like and wrap it in multiple layers of wrapping paper. Play some festive music while participants sit in a circle and pass the gift, each one unwrapping one layer of the wrapping paper. Whoever unwraps the final layer gets to keep the gift! Make sure to add more layers than there are guests. It will make the game more interesting and fun! Since you're already in a circle, try and play a "Pass the Gift" story game. In this game you get a bunch of small inexpensive gifts for everyone, and wrap them all or put them in gift bags. Instruct participants to pass their gift to their left when they hear the word “left” in the story, and pass to the right when they hear the word “right” in the story. Find a pass the gift story here, and another variation here. Charades is a classic party game that everyone is familiar with and otherwise, easy to learn. Make your charades specific to your party and select all popular holiday songs. (Ex: “O Christmas Tree” or “Little Drummer Boy”) Make the game more competitive by forming two teams, or more casual by just having everyone guess what is being acted out. Get some ideas of what to act out here. Pictionary is like charades, but instead of acting it out, you try to get people to guess the word by drawing. You will need a large white board or pad of paper. Write clues ahead of time, and include a subject (Ex: object, action, person) to be read aloud before drawing begins. Teams work best in this game. Give the team that is drawing a time limit (such as 60 seconds) and if they don’t guess in time, give the other team a chance to guess. Clues can be related to the holidays of course. Santa! Candle! Caroling! Sleigh! Wise Man! 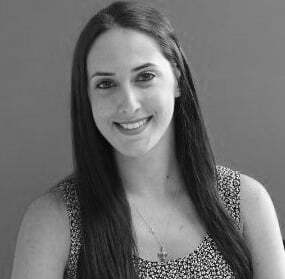 Menorah! Shopping! The North Pole! The possibilities are endless. Don’t worry, no real kissing is involved in this competitive fun game. Split everyone into small teams. Each team will need a pair of fluffy winter gloves and a bowl of Hershey’s Kisses. The object of the game is to unwrap kisses wearing the gloves. When the first person succeeds, they pass the gloves to the next person on their team and so on. 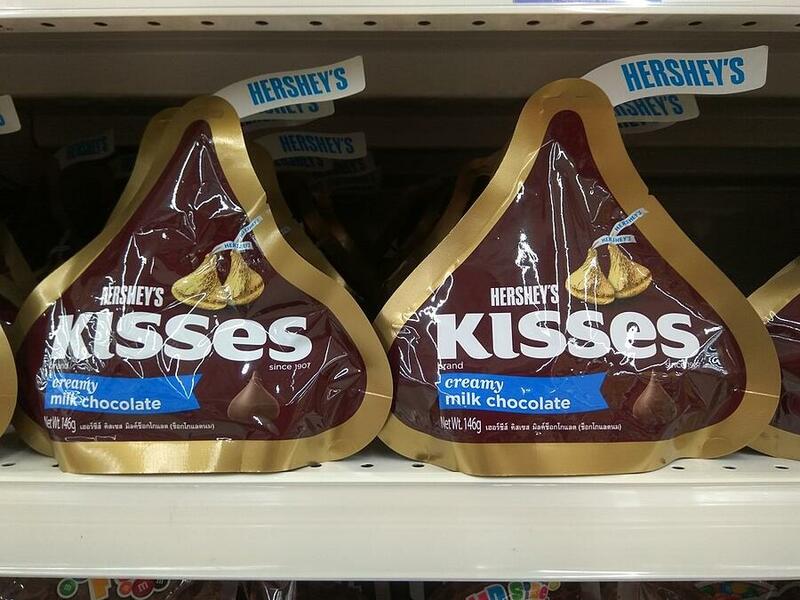 The first team to unwrap two kisses each wins! Their prize for winning could be a bag of kisses or winter gloves! A variation on “Two Truths and a Lie,” this game involves someone standing up and telling everyone two gifts that they have actually received at some point in their life, and one gift that is made up, or a lie. People can share about horrible gifts they have received, or wonderful gifts. Either way, it may be hard to tell which is a lie. This is a great non-threatening way to get to know others better. 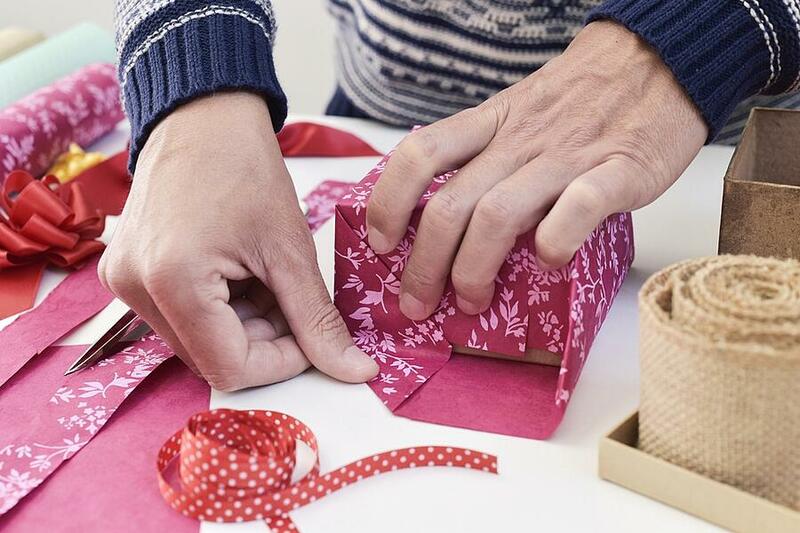 For this entertaining challenge, you need empty boxes wrapped like gifts and gift bags. Prepare more than any one person could carry. The object is to pick up as many gifts as you can and walk across a room or designated distance. If anything is dropped, the helper who dropped it is out. If the helper makes it across, then count up the number of items they successfully carried across. Whoever carries the most is the winner! Maybe one of your gift wrapped items actually has a gift for the winner inside! Gather empty boxes, lots of wrapping paper and tape, and a bunch of gift bows. Whoever would like to participate gathers around and when someone says “GO!” they wrap their box like a gift. The last one to finish is out. The remaining contestants go at it again. Every round someone is eliminated until the final two contestants battle it out. The gift wrapping winner could be given a roll of novelty gift wrap. It you come to a match, you could judge based on an individual's wrapping skills. Think up a bunch of Holiday Characters such as Frosty the Snowman or Elf (from the movie “Elf.”) Write them all on pieces of paper and stick a different personality on each party goer (without them knowing “who” they are). When the person guesses who they are, they get to stick their persona to a poster on the wall, the goal of course being the first person and getting first place! 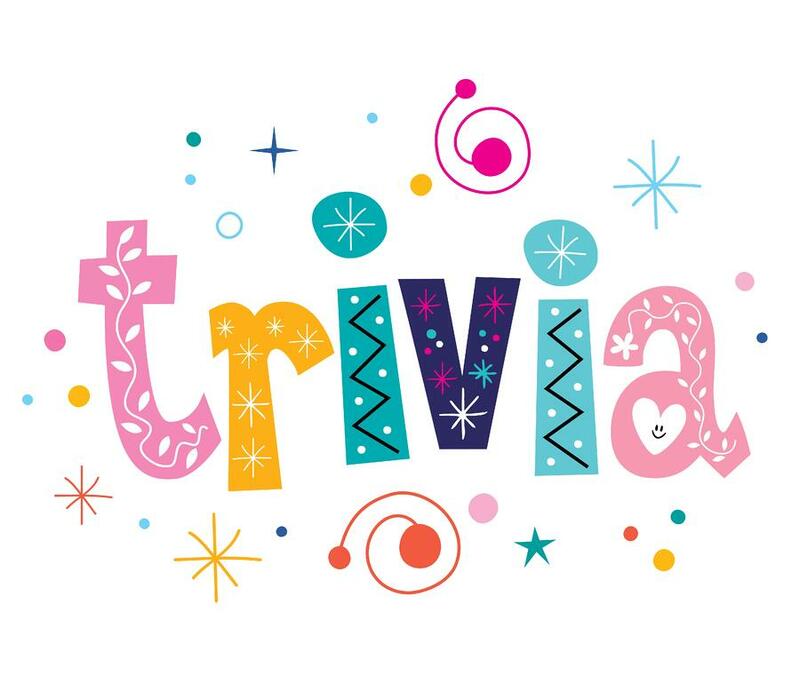 Who doesn’t like a good round of trivia? Get some trivia questions here and make them work for your party setting. You could use presentation software to flash the questions on a big screen and let everyone write down their answers, calling out the correct answers and letting everyone score their own paper. You can also number questions and post them all over the room (printed on festive paper) and have folks walk around and answer all the questions and call out the correct answers after everyone has had time to finish. Form teams or play individually, whatever works best in your workplace. Beforehand, prepare a playlist of popular Holiday Tunes. Give everyone a piece of paper and pencil. Play a few seconds of each song and have them write down the name of the song. At the end see who got the most songs correct and award them a prize. Or, make them perform their favorite tune! Variation: Instead of music, play clips of well known holiday movies but do not let anyone see the movie, just listen to the dialogue, music, etc. Let them see if they can guess what movie it is! 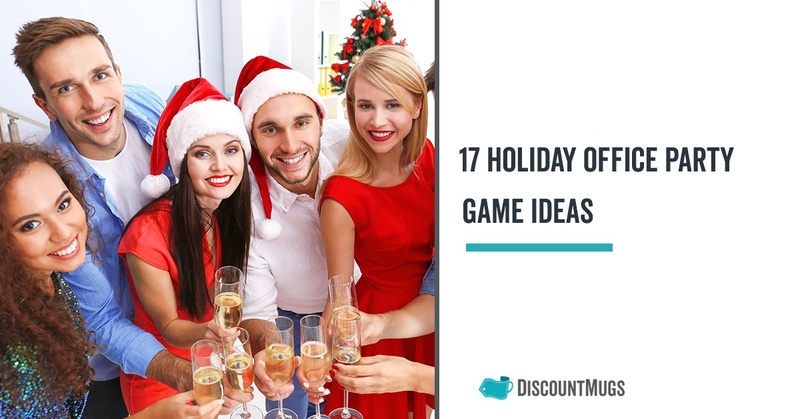 As you can see, with a little bit of planning, you can add some party games to your office holiday party to make it enjoyable and entertaining for everyone involved. Make your office party something to look forward to, and see everyone talk about it well into the new year!